Catch up on the latest news from General Digital, including upcoming and newly released LCD monitors, display enhancement services, accomplishments, contracts, certifications and other noteworthy items of interest. General Digital is excited to announce GenGard F801™, the next revolution of LCD bonding, specially processed for high altitude (up to 60,000 feet), extreme temperatures (-45° and beyond) and severe shock and vibration. Our Optical Bonding Laboratories developed proprietary process that enables displays to survive increasingly hostile and demanding environments, whether they be in the depths of the ocean or the upper reaches of our atmosphere (and beyond). Get more information on our Optical Bonding page, and then contact an Applications Engineer to discuss how GenGard F801 can be utilized in your application. General Digital welcomes Melissa Levin to an internship in our Marketing Department. 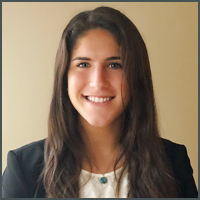 She is in her senior year at the University of Connecticut, studying communications with hopes of pursing a career in marketing and public relations. Since she started, she has worked on numerous projects including producing social media content each week, assisting in Web site revision, analyzing competitors, and assisting in growing business relations. In her free time, she loves to listen to podcasts, try new restaurants, and spend time at the beach! With the tariffs on steel and aluminum imports enacted by President Trump, many are expecting prices on all sorts of U.S.-produced goods to skyrocket. For any U.S. industry using these metals, the impact is going to be real. However, General Digital anticipates a less substantial increase than the 25% for steel and 10% for aluminum. We feel this way primarily for the following reasons. First, although our monitors and certain peripherals are built from mostly aluminum (and a lesser amount of steel and stainless steel) in order to withstand harsh industrial and military environments, they also contain many other materials, which have no tariffs levied against them. Secondly, cost increases should be buffered somewhat as they will be spread across the nation, rather than placed on a sole manufacturer. As always, General Digital is committed to giving each customer a superior product at a fair price. 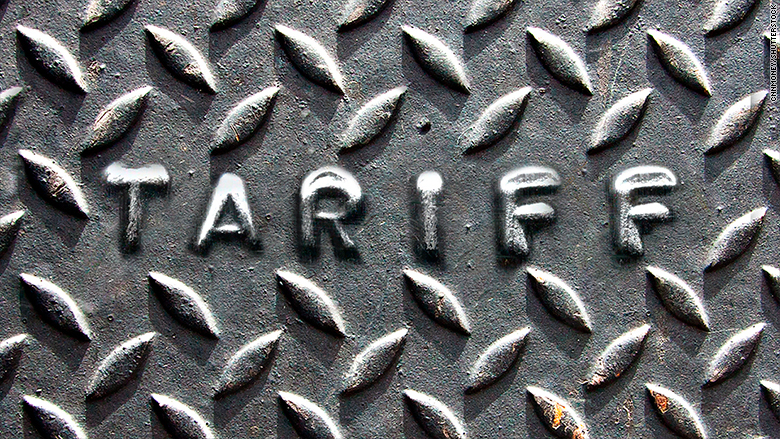 Time will tell the true effect of the tariffs, but rest assured we will make every effort to minimize any cost increase. Please feel welcome to speak with a Sales Engineer should you have any concerns. We’re having our own kind of March Madness here with the release of an 8.4" and 12.1" Display Head Assembly (DHA). These small and mid-sized displays both feature 1024 x 768 XGA resolutions and 700:1 contrast ratios. The 12.1" produces 1,650 nits of luminance while the 8.4" pumps out 1,850 nits! Clearly, both are well equipped for use in high brightness enviroments. Additionally, they are fully compatible with Night Vision Goggles (NVGs), making them ideal for military purposes. Wide viewing angles are standard issue, as well. As equipped, both DHAs are ready for installation in your console, Humvee, aircraft or nearly any other panel or enclosure. However, General Digital offers a whole host of value-add options and accessories to configure the DHA to your requirements. Select from touch screens, antiglare filters, optical bonding, heaters, EMI filters, privacy films, and much more. Speak with a Sales Engineer for a no-hassle consultation about your application. 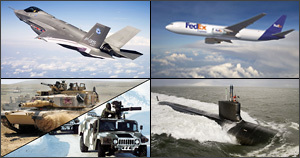 Markets include, military, industrial, transportation, medical, simulation, commercial...really just about anywhere! View our Product Line-up Sheet of enhanced displays, from 6.5" to 24.0". Or visit the DHA page on our Web site. General Digital is happy to announce that the new year has brought forth quite a few new software opportunities in the aerospace industry. 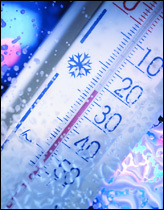 One project integrates hardware and software for a specialized weatherproofing application to be used in the field. Other projects include local aerospace manufacturers who are utilizing our expertise and consulting services to create high quality software that will enhance their internal software processing systems. 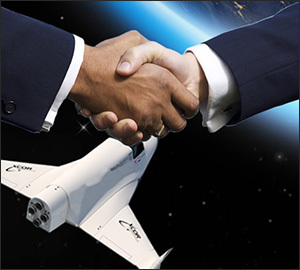 Additionally, we will continue our ongoing partnerships with aerospace manufacturers and developers to enhance and test their software. In current projects, after many trial and error sessions, General Digital is proud to announce that the first working prototypes for our partnered startup medical device company have been delivered for ongoing testing. We look forward to the next phase of this exciting new and innovative product, as well as helping them with FDA submissions and further enhancing their product lines. Whether a customer is developing a new product or software, or attempting to retrofit/recertify a legacy system, General Digital’s experienced staff provides the independent assessments an organization needs to meet high quality software requirements. We are always at the ready to help our customers meet the ever-changing and demanding requirements of most industries, such as medical, avionics, transportation or industrial. 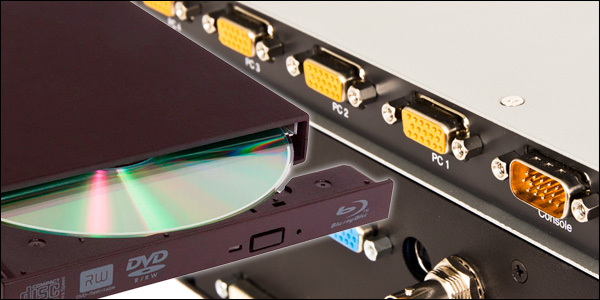 General Digital is excited to announce that we will soon release our first SlimLine 1U with an optional integrated Blu-ray™ drive and KVM switch. Both options are available across our entire SlimLine Series lineup, as well as most of our other display products. With a disc drive integrated into your unit, no more will you waste valuable time fumbling with extra wires and looking for open USB ports. The combination of the Blu-ray drive and General Digital high definition displays (including ultra clear sunlight readable and optically-bonded screens) ensures you will enjoy the best possible viewing experience. The integrated KVM switch further simplifies the control of muliple computers from one central location. Though the technology is not new, integrating both devices into a ruggedized 1U high flip-up monitor/keyboard/trackball system is an engineering achievement of some significance, if we say so ourselves. And furthers our drive to build better, more compact systems in the future. Speak with a Sales Engineer to learn more and inquire about availability. Completing custom orders and taking on unique jobs is a typical day at General Digital. Recently, unsure if it was even possible, the U.S. Army inquired if we could build our waterproof Barracuda monitor in a slim enclosure. Naturally, we surpassed expectations with this one-of-a-kind display. A much leaner version of our current Barracuda line, this military-grade marine display measures in just 1.7" deep (the original Barracuda is 3.0" in depth). “How did they do it?” you may be wondering. Without giving away our secret recipe, a custom-fitted controller board is one key ingredient. It’s also loaded with our own custom-designed LED rail, backlight controller, and OSD controller. Let’s not forget that it’s sunlight readable, which is handy in bright environments. At the heart of this slim Barracuda is a 15.6" display that features a wide format high resolution (1920 x 1080), surpassing the resolution of the typical 15" display (1024 x 768). Built to meet many military standards, on the back of the enclosure are the gore vent and sealed military 38999 DC input power connector. Making concepts a reality is General Digital’s forte. What we can build for you? 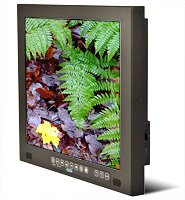 General Digital’s display engineering team recently developed a 7-inch open frame monitor available in a variety of configurations. Many Impact Monitor Kits are configured for military applications, including our latest model, which features a DisplayLink® Video-Over-USB interface for Armed Forces drone applications. The possibilities are nearly endless with a smaller sized monitor such as the Impact 7. Options include touch screens, NVIS displays, Android-based operating systems, Bluetooth and Wi-Fi connectivity and much more. Download the preliminary flyer or contact a Sales Engineer to learn more or request a demo unit. For years now, General Digital has offered dual mode displays, meaning that the LCD is capable of being sunlight readable and NVIS compatible. And the dual mode design is not off-the-shelf; we spent countless man-hours developing and testing our own unique configuration to better serve our customers. We are pleased to announce that we can now offer several displays that not only are dual mode, but have Full HD Resolution (1920 x 1080), as well. This means even sharper, cleaner images in bright sunlight or when wearing night vision goggles. The LCD sizes available as of this writing are 15.6", 17.3", 18.5" and 21.3", with more to follow soon. Any of our displays are easily incorporated into an enclosure to suit your application. For more information, please contact a Sales Engineer. General Digital has just expanded our Software Services business unit with new hires. The department has nearly doubled in size over the past few months, as we have been awarded several new contracts for software development and IV&V testing. We want to thank Software Services Sales & Business Manager Bill Stamm and everyone else involved for all of their work in expanding and further strengthening this business unit. 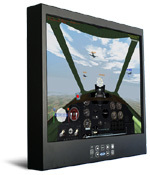 Recently, a Canadian aerospace company has awarded General Digital a contract for several VueSim™ 6.5" smart displays. They intend to incorporate them into their aircraft’s main control systems. 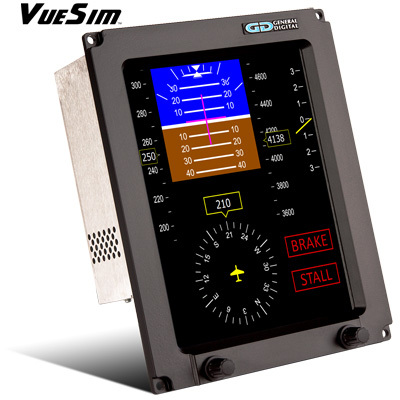 The VueSim is a sunlight readable and night vision goggle-compatible monitor that is perfect for those with a need for a low-cost simulator or cockpit monitor (i.e., PFD or MFD) with high quality processor and graphics performance. Available in sizes from 6.5" to 19.0” as standard models, we can build them in our South Windsor, Connecticut, facility in nearly any size required. We anticipate supplying more of VueSims to the aviation and other industries. We’ve been busy creating data sheets for many new Display Head Assembly ( DHA) products. We offer DHAs in standard sizes from 6.5" to 24", though we can accommodate nearly any size our customers require. 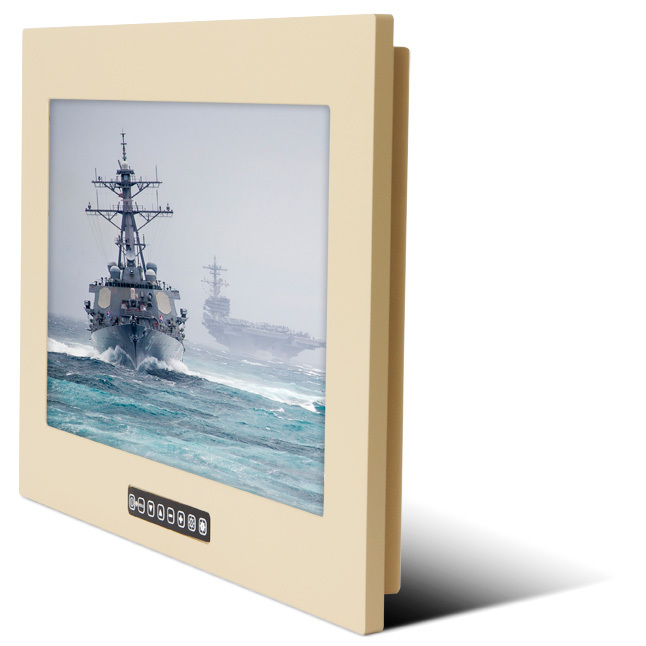 Most displays we offer can be equipped for sunlight readability, use with night vision goggles, glare and reflection reduction, EMI shielding, touch screen overlays and much more. You can download the released data sheets for review on our DHA page. On a related note, we have also released our Display Product Line-Up Sheet, in PDF format, of many of the optically-enhanced DHAs we produce. Included on this sheet are the basic specifications of the displays to help you decide which will best suit your needs. Contact a Sales Engineer with any questions you may have, or for a no-obligation quote. Introducing the New TwoView 2 Vertical! General Digital’s brand new TwoView 2 Vertical allows users to enjoy all the same features as that of the original TwoView & Twoview 2, while also being able to flip the monitors vertically, saving horizontal space. This new design still permits enhancements of the monitor, which can be modified to both high brightness—with a sunlight readability of 1000 nits or more—as well as night vision capability. Other key features include: USB & PS/2 interfaces, touch screen, including multitouch, high resolution displays, including full HD, and much, much more! Call a Sales Engineer today to discuss how we can configure a TwoView 2 Vertical display that will suit your requirements. General Digital has just finished constructing our first 4K monitor. The first configuration is equipped with a 23.8" LCD, though other sizes will be available soon (27", 30" and larger). The 3840 x 2160 resolution screen displays 1.07 billion colors at a contrast ratio of 1000:1. Enclosed in our rugged Saber Standalone housing, this ultra high definition display is ideal for industrial and military applications. It features DVI-D, HDMI (x3), and DisplayPort video inputs, as well as an internal AC power supply. Call a Sales Engineer today to discuss how we can configure a 4K display that will suit your requirements. 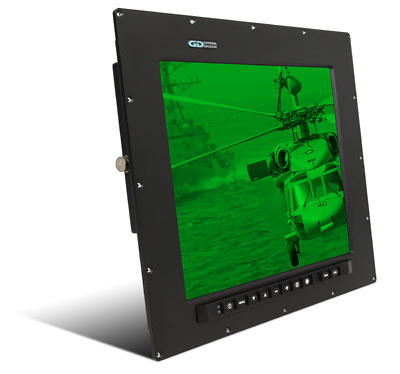 General Digital is pleased to announce the release of our Barracuda PanelMount Solar/NVIS 901D marine-grade MIL-STD-901D-compliant 15.0" and 17.0" LCD monitors, complete with sunlight readable and NVIS-compatible displays. Environmentally sealed to meet IP67 standards, and equipped with advanced features like an EMI micro-mesh filter, military-grade +9 to +36 VDC power supply, optically-bonded touch screen, circular polarizer and 1/4-wave retarder to enhance contrast in high ambient light conditions. The waterproof Barracuda is ideal for shipboard, ground vehicle and mobile applications. Download the 17.0" data sheet to learn more, and then call a Sales Engineer today to discuss how we can configure a Barracuda display to perfectly meet your needs. General Digital’s Optical Bonding Laboratories has successfully applied an antiglare film film to a large format 55 inch LCD monitor. A large form factor display can be quite a challenge to work with, but our team’s patience and expertise paid off. This display will be used in an avionic simulator by our customer, a prominent force in the aviation industry. Next, we are looking to tackle an 84 inch display. Our sales team enjoyed great success after visiting many customers and prospects in the Charleston, South Carolina, and Huntsville, Alabama, areas. We introduced our new VueSim smart monitor for simulators, and other monitors with dual mode LED backlights that are both sunlight readable and NVG compatible. Everything we presented for all of the programs stimulated great interest. Many future opportunities exist for our Saber PanelMount, Titan Lite, and VueSim variants. 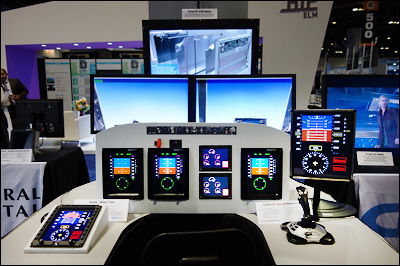 General Digital debuted the newest iteration of our VueSim HMI™ flight simulator monitor at I/ITSEC 2015. The 7104 model is a smart monitor that accepts ARINC 429, as well as Ethernet signals, successfully displaying its versatility. Featuring bonded glass and a high quality display with guaranteed 10-year product availability, the 7104 is available with many options, including sunlight readability and night vision goggle compatibility. Another option is an extended color gamut, displaying a more dynamic color range of its high definition graphics. 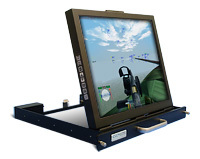 To accompany this advanced simulation display, we designed two software applications for simple operation by the end user: VueSim Author™ for creating high quality user-defined graphics; and VueSim RT™, which reads aircraft data and renders graphics to display on the LCD. Shipping will commence in Q1 of 2016. General Digital has been awarded a contract for 240 custom Barracuda 6.5" waterproof monitors. The 1024 x 768 resolution sunlight readable displays will be compatible with night vision goggles. The desert tan Barracudas will be sealed to IP67 standards and built to meet many military specifications. 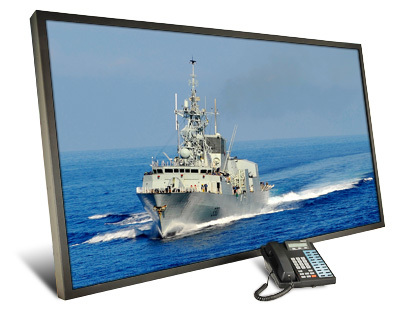 General Digital has been awarded yet another contract for our Titan monitor—this time for eighteen Titan Standalone 65.0" units for the Canadian Navy’s Arctic Patrol Ships. The monitors will be equipped with mutiple video inputs, including Dual DVI-D, HDMI, VGA, Composite BNC and HD Component. The displays will be shatter resistant, and have an antireflective and ITO-coated protective glass overlay. Also included is an internal power supply, USB pass-through port, stereo speakers and IR Remote Control. General Digital has enjoyed great success supplying our Titan Series of monitors to the U.S. Navy for Los Angeles- and Virginia-class submarines, not to mention future Ohio-class subs. 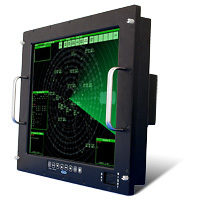 Our Titan PanelMount 39.0" LCD monitors have been selected for the retrofitting of Brazilian Navy Submarine plotter tables. We will provide a rugged tempered glass overlay for the plotter tabletop to protect the Titan monitor and other electronics within the table enclosure. 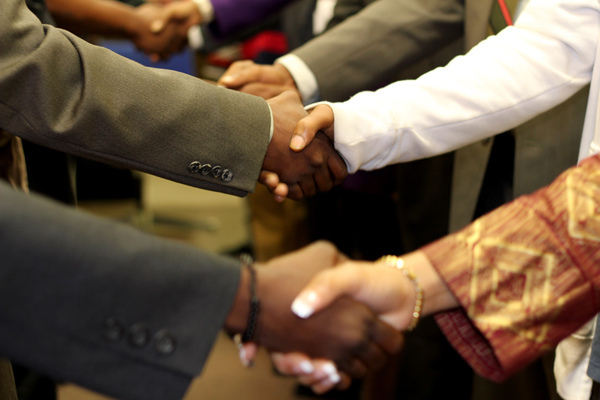 We were awarded this contract in conjunction with the recommendations and support of the U.S. Naval Undersea Warfare Center (NUWC) and Lockheed Martin. General Digital is nearing completion of our completely redesigned FAA air traffic control tower monitor, the GenStar IV™. Available with either a 19.0" or 21.3" display, our newest GenStar LCD monitor features a host of improvements over the previous generation, including an Advanced Display Interface System, active monitoring and reporting of system performance and faults, dual ambient light sensors, a field-replaceable power supply, and a 2.00" reduced depth enclosure. 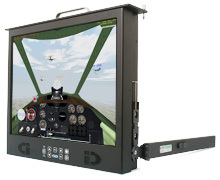 General Digital is delving into the cockpit display and flight simulator market to complement our existing product lines and help us pave a path towards manufacturing avionics products. Following are a few of the products and software on which we’ve been working. 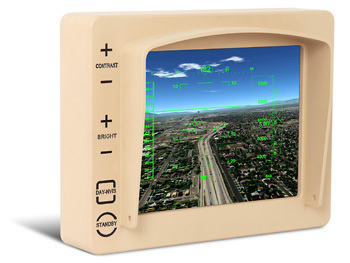 Vista™ SD4104: A basic 10.4" display designed for use with flight simulators, providing flight performance information. Display options will include sunlight readable, NVIS, and wide color gamut. VueSim™: Comprised of four products, the VueSim product line includes a “smart” 10.4" monitor (VueSim HMI™), a graphics rendering engine and I/O module (VueSim RT™), a desktop application with an easy-to-use graphics editor (VueSim Author™), and a plug-n-play monitor to swap with an expensive avionics certified flight display (VueSim cc™). Download the VueSim flyer. 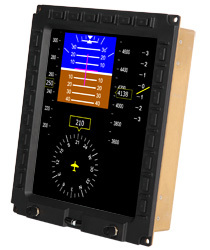 CoPilot M6104™: An FAA-certified 10.4" Multifunction Display System (MFDS), complete with sunlight readable and NVIS capability, system scalability, and our own VueSafe™ anti-aliasing application for improved graphical display. Contact a Sales Engineer for more information at 800.952.2535, ext. 181. General Digital’s latest proprietary UV bonding process will take you where no other silicone bond has gone before! Did you know that UV (ultraviolet) technology allows for wider temperature ranges than traditional silicone bonds? Our formulation will survive temperature extremes beyond –55° C, well suited for today’s harsh environmental military applications. In addition to improved temperature performance, our UV technology solutions have tested successfully in simulated altitudes in excess of 55,000 feet, with no bond degradation to the assembly. 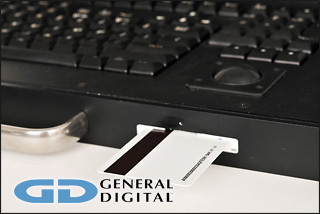 No matter the nature of your application, General Digital’s Optical Bonding Laboratories professional engineers will consult with you on a bond configuration best tailored to your specifications. Call now for a no-obligation consultation at 800.952.2535, ext. 132. General Digital prides itself on being a “customer-driven company,” allowing our products to develop as our customers’ needs evolve. Our SlimLine family is no exception. A customer who regularly orders our SlimLine Lite II approached us recently because even the shallow depth it offers did not afford them the space needed to operate the unit while facing the rack. Their request was simple: could we rotate the unit, allowing operation of the unit at a 90 degree angle to the rack? Our answer was simple: “Yes.” Shipping this month, another General Digital innovation has been introduced to the display world. After upgrading from our 37-inch Titan PanelMount to its 39-inch replacement (see December 2013 New & Noteworthy), our customer wanted additional capability; this time, in the form of a TV tuner. Complete with a 50-point multi-touch sensor overlay and accepting a wide variety of video inputs, this 39-inch Titan is more than just a large screen television set. The inclusion of the tuner marks a first for General Digital: allowing our monitor to be used to view and record live television. 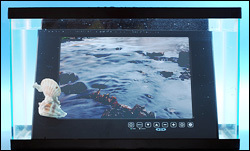 As promised, our upgraded outdoor 19-inch Barracuda LCD monitor product line has arrived. It recently demonstrated its capabilities by enduring the rigors of our submersion chamber, meaning it has to remain under water at a depth of 1 meter for a minimum of 30 minutes. Sporting the compact design and sleeker look of its 15-inch and 17-inch predecessors, this IP67 environmentally sealed model can support an increased variety of video signals, as well. All Barracuda models are available in rack mount, panel mount and standalone enclosures, and can be configured with sunlight readable displays. With the large variety of products and services that General Digital offers, we understand that our Web site can be somewhat overwhelming to navigate. Always seeking to produce a better customer experience, we set out to create a navigation system that promotes ease of use and maneuverability. Embracing a more intuitive approach (we hope), our customers can now navigate the menu based on a variety of factors, such as: product type, mounting type, performance type, and industry type. We also added a Capabilities and Services page, to better inform and educate visitors about General Digital’s extensive offerings from our three business units, including: engineering, design, testing, manufacturing, quality control. As always, we welcome your constructive feedback on how it works for you. 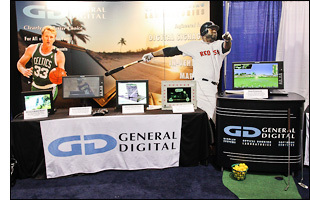 General Digital’s Barracuda line of waterproof and IP67 environmentally-sealed LCD monitors continue to grab attention. 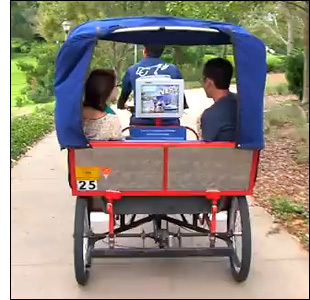 Oriental Express Rickshaw, a pedicab company serving Universal Orlando Resort in Florida, plans to install our 15-inch Sunlight Readable Barracuda Standalone into its pedicabs. With a bright, easy to read and completely weatherproof display, our outdoor monitors will enable local advertisers to promote their products and services while customers are shuttled from one location to another. Watch the Pedicab video. Constantly looking for ways to upgrade our designs, General Digital found a 39-inch flat panel LCD replacement capable of occupying the same footprint as its predecessor, the 37-inch Titan PanelMount™. Boasting a slimmer, lighter weight design, and relying on LED backlights for lower power consumption and lower heat emission, the Titan 39-inch PanelMount serves as a testament to our commitment to provide long-term support to the programs we serve. As with the 37-inch that preceded it, the 39-inch Titan will be configured for horizontal or vertical installation as requested by the customer. 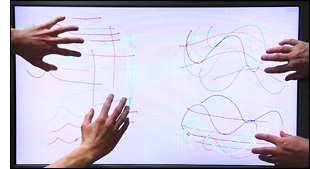 However, equipped with a 20-point multi-touch sensor overlay, this model will perform in ways that the previous monitor could not. 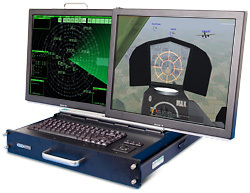 Aero Simulation, Inc. (ASI) is using four General Digital 21.5 inch Saber Standalone™ LCD monitors in their HC-144A Operational Flight Trainer. Awarded by the Naval Air Warfare Center Training Systems Division, the $22.3M program directly supports the U.S. Coast Guard's aviation training requirements for this new aircraft platform. The Saber Standalone is the perfect complement to the Trainer, with a bright widescreen 21.5 inch display, LED backlighting, and an NVIS night vision goggle-compatible screen. As part of the program, ASI will lead a Flight Test using a Coast Guard-provided aircraft to capture the data required to meet Federal Aviation Administration (FAA) Level D simulator requirements. This data collection and model development/validation will ensure that the delivered system fully meets the Coast Guard’s defined HC-144A training requirements. First introduced in 2008, our Barracuda™ line of waterproof and IP67-environmentally sealed LCD monitors is undergoing some important changes. With 15 inch and 17 inch models already available in rack mount, panel mount, and standalone configurations, a 19 inch monitor is coming soon. Eliminating the large bezel that once characterized the Barracuda, this redesign will feature a more compact enclosure. Sporting a sleeker look, the new design will prove more configurable, thereby reducing expected lead time from order placement to delivery. A more cost-effective Barracuda: yet another innovation from General Digital. Ever the innovators, General Digital continues to enhance the design of the TwoView™, our flagship military-grade dual flip-up display unit equipped with an integral keyboard and trackball. Our customers are always looking for ways to maximize rack space, so we worked hard to have our newest TwoView fit in a smaller footprint. Utilizing slightly leaner construction while maintaining industrial-grade fortitude, the TwoView 2 features two hinged in-line displays, enabling both viewing areas to be on the same plane. The sleek design sacrifices no performance, though; the new TwoView 2 supports an even wider range of video signals. Whereas the original model supports VGA, DVI, and NTSC video signals, the new model will support HDMI, S-Video, HD-SDI, and SD-SDI. A primary concern with the old design was the difficult routing of the cables and the danger associated with pinching them; these are concerns that the new design resolves. Boasting a more economical price point, the new TwoView 2 continues our commitment to quality design and development. Shipping is expected to commence in October. 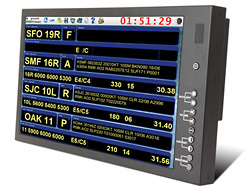 The GenStar™ line is a mountable sunlight readable LCD monitor specifically designed by General Digital for the FAA's STARS program for use in air traffic control towers. This latest iteration sees significant improvements over previous generations, such as reduced power consumption and heat generation, which results in significant direct cost savings (smaller power supply, smaller heat sinks and/or smaller fans). Another plus is the indirect cost savings customers will realize in terms of cost of ownership (utility / electric bills). Perhaps the most significant improvements, though, have to do with the LED backlight: higher brightness capability, better uniformity and increased longevity. Also available is the GenStar III Lite™, which will be configured without components the end user would not utilize. 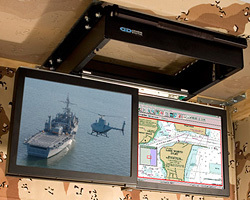 Designed specifically for use by the Royal Netherlands Navy, this Saber RackMount 901D™ is built to go the distance. Features include a high performance 19 inch display; a drip- and splash-proof enclosure, complete with sealed and tethered connector covers; a front bezel-mounted compact flash card reader and USB port; numerous video ports; and much more. 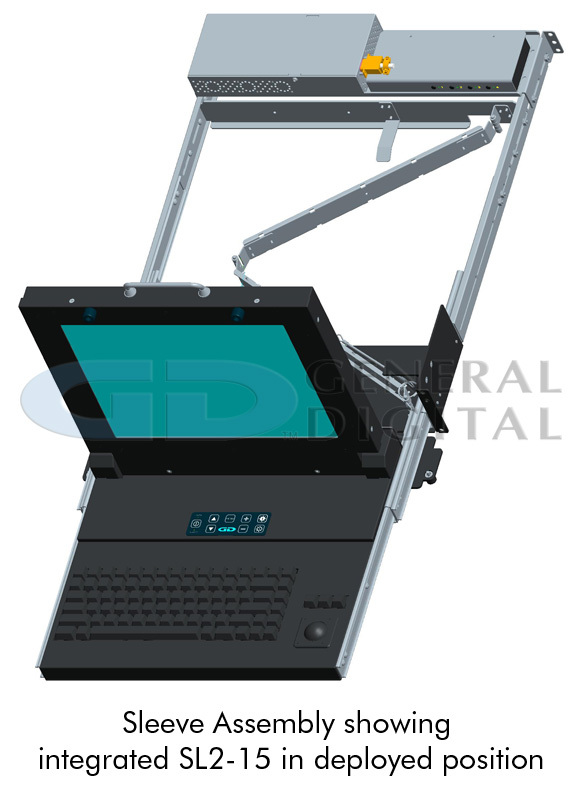 Read more details about this military spec, ruggedized rack mount LCD monitor. General Digital now offers support for fiber optic video signal input acceptance. With the increasing emergence of high resolution and high definition video applications for long range high-fidelity imaging usage, we are pleased to be able to provide another video input option to the many we currently offer, including DisplayPort, DVI and HDMI. We are noticing more fiber optic applications appearing on naval vessels, in air traffic control towers, and a number of high-tech building and video wall installations. General Digital now offers support for DisplayPort video signal input acceptance. We can even support multiple DisplayPort inputs. With the increasing emergence of high resolution and high definition video applications for medical and other imaging usage, we are pleased to be able to provide another video input option to the many we currently offer, including DVI and HDMI. As an alternative to our original dual flip-up monitor/keyboard, the TwoView, this latest incarnation features two hinged inline displays. This enables both viewing areas to be on the same plane rather than one slightly in front of the other. In addition, it also enables one display to be centered over the keyboard, or they can be offset in either direction. Capable of supporting multiple video sources (VGA, DVI, NTSC, HDMI), the TwoView is available in sizes ranging from 15"-19". 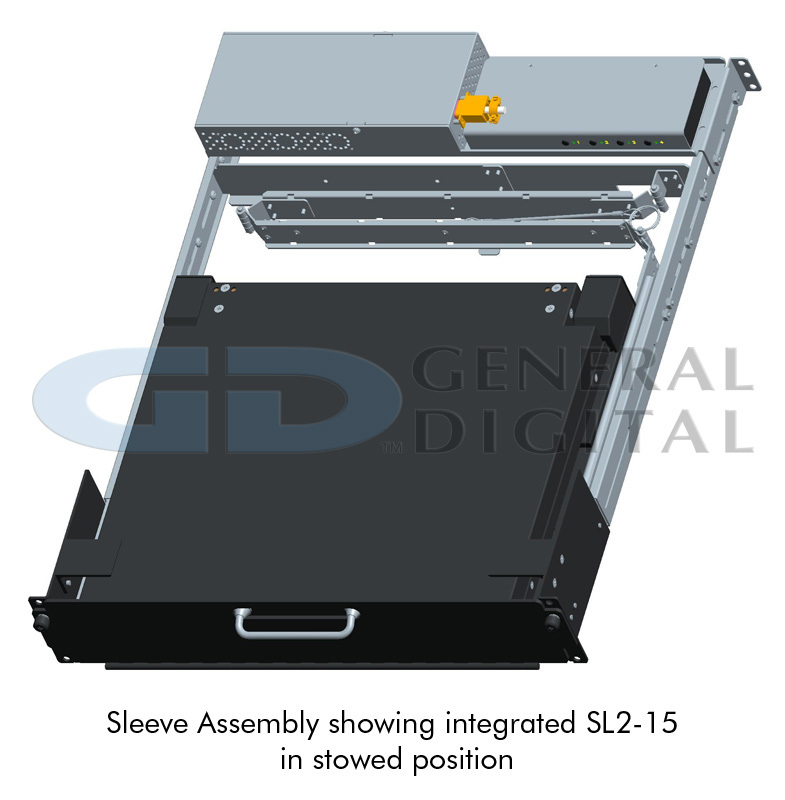 General Digital has redesigned the 19" rack mount sleeve unit for the SlimLine Lite II™ Series of rugged flip-up LCD monitor / keyboard / trackball, including the sunlight readable models. One unit is designed for use with the 15" model, the other is for use with the 17", 19", and 20" models (the only difference being the length of the slides). The chart below highlights the major changes and advantages. Custom Design Now Available for the Masses! General Digital is now accepting orders for our newest product, equipped with four video inputs. It is a mix of our rack mount (or ceiling mount) TwoView Micro and SlimLine Micro, with one 21.5 inch display that flips down for use. 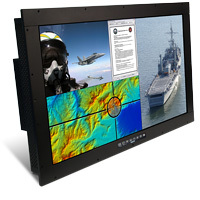 This rugged unit is capable of displaying four separate video sources simultaneously. 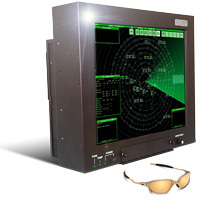 It includes a MIL-STD-3009 Class B Type II LED NVIS (NVG) compatible backlight, optically bonded resistive touch screen, and a robust enclosure for military use. Note that the four video inputs capability can be integrated into many of our LCD monitors. Get all the details on our Specialized LCDs page. General Digital is now accepting orders for rack mount flip-up LCD monitor / keyboard units, and an integral CAC (Common Access Card) Smart Card Reader. Previously available with only our SlimLine Lite II, we are now offering the convenience of Smart Card technology in our SlimLine 1U and TwoView products. Mounted to the front of the unit, this small device simplifies access to sensitive data, while providing the security that data requires. Contact us for a free consultation to determine if your application will benefit from an optional integrated Smart Card Reader. General Digital is now accepting orders for our rugged TwoView 20 with two built-in options: a DVD drive and a 4-port KVM switch. 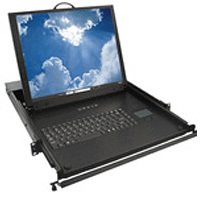 Housed in a 3U high (5.25") rack mount enclosure, the TwoView 20 features two flip-up 20 inch LCD monitors with an integral keyboard and trackball. The large, high resolution screens (1600 x 1200) result in an expansive viewing area, which is a perfect match for the integral DVD drive. The 4-port KVM switch facilitates connecting numerous devices to the TwoView. An integrated power supply and a host of video inputs are standard equipment. As with most of our poduct line, sunlight readable displays are available. Read more about the TwoView and TwoView Solar, or contact us for a free consultation. 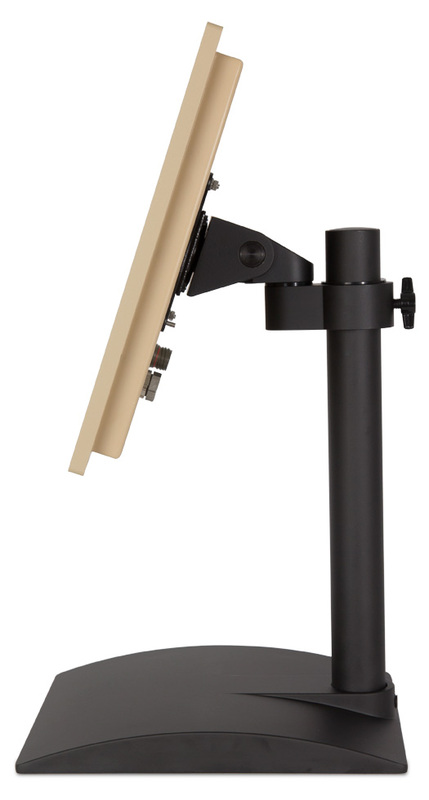 As reported this past June, the 20-inch TwoView™ models are now available. The 3U high (5.25") rack mount, dual flip-up LCD monitors feature high resolution (1600 x 1200) screens resulting in a greater viewing area. Also of note are an integrated power supply and a host of video inputs. Though numerous options are available, one of the newest ones is a 4-port KVM switch. We haven’t forgotten those who use our monitors in bright environments—20 inch sunlight readable displays are available. Read more about the TwoView and TwoView Solar, or contact us for a free consultation. Already available in display sizes from 15 to 19 inches (diagonal), a 20-inch TwoView will soon be making its way to the production floor. While continuing to offer all the features of our other TwoView models, these 3U high rack mount, dual flip-up flat panel LCD monitors will grant even higher resolution (1600 x 1200) and greater viewing area to our customers. Other new features include an integrated power supply, a host of video inputs and an optional KVM switch. As always, sunlight readable variants are on the roster. These new models are coming soon, so keep an eye out for these latest additions to our ever-increasing line-up of industry innovations. 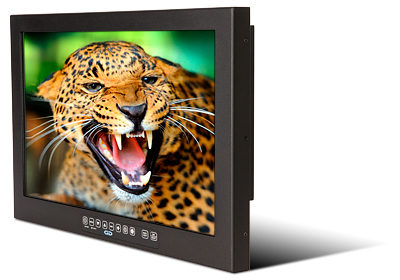 General Digital is pleased to announce the release of our modified Saber Standalone 24" Touch LCD monitor. With a slim profile, this widescreen 24-inch LCD monitor (with integrated power supply) features a 300 nit LED backlight to ensure consistent brightness acrosss the display face, while the SAW (Surface Acoustic Wave) touch screen improves user interface. Also part of the package is standard VESA mounting capability, as well as a built-in, front-monted speaker. Additionally, a 21.5-inch model is available with identical specifications. We’re now taking orders for our newly-designed 5-inch and 10-inch Smart Multifunction Displays. Ideally suited to helicopter and fixed-wing applications, these rugged units are designed to meet several military standards (704D, 810F, 461E, 462, DO-160E). They feature an sunlight readable LED backlight, EMI glass, heater glass, a rugged enclosure, and PowerPC-based drive electronics. General Digital will be offering both displays with optional NVIS compatibility for use with night vision goggles. 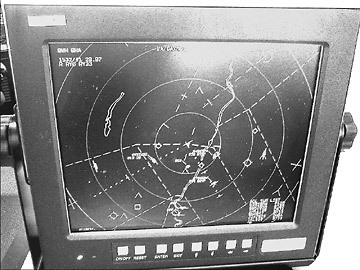 Data will be accepted on two ARINC 429 channels and the software (DO-178B, Level A) will validate and generate the display page, which, in turn, will be presented to the pilot in a graphical format. Another handy, and quite practical, feature is a built-in light sensor that can automatically adjust the display brightness, so as not to distract the pilot unnecessarily. Our TwoView, an industry-wide favorite, is undergoing some major renovations. Providing twice the viewing area in the space normally reserved for one flip-up, rack mount LCD monitor, the TwoView has been a perennial head-turner. Now, at the request of our customers, we are developing a TwoView on which both screens lay on the same plane, rather than one sliding over the other. In addition, these two displays can both slide such that one monitor is centered in the drawer and the other is overhanging the drawer to the right or the left. This new development will provide a flat viewing area with greater ease of transition from one screen to the other. In addition, it will provide greater flexibility for mounting in confined spaces. 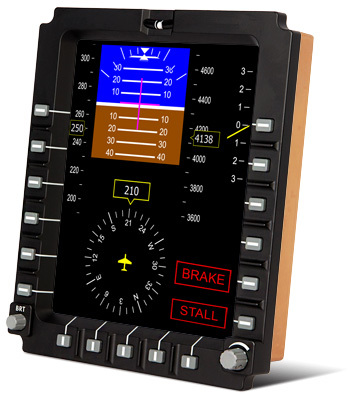 Designed to meet several military standards (704D, 810F, 461E, 462, DO-160E), General Digital’s 5" (diagonal) Smart Multifunction Display is well-suited to helicopter and fixed-wing applications. It will feature an sunlight readable LED backlight, EMI glass, heater glass, a rugged enclosure, and PowerPC-based drive electronics. Optionally available will be NVIS compatibility for use with night vision goggles. Data will be accepted on two ARINC 429 channels and the software (DO-178B, Level A) will validate and generate the display page, which, in turn, will be presented to the pilot in a graphical format. A built-in light sensor can automatically adjust the display brightness, enabling the pilot to concentrate on more important matters. In the design phase is a 10.4" model, as well. General Digital is in the early stages of engineering a slim profile, touch sensitive, widescreen 24" LCD monitor with integrated power supply. The 300 nit LED backlight ensures consistent brightness acrosss the display face, while the SAW (Surface Acoustic Wave) touch screen improves user interface. The modified Saber Standalone also features standard VESA mounting capability, as well as a built-in, front-monted speaker. 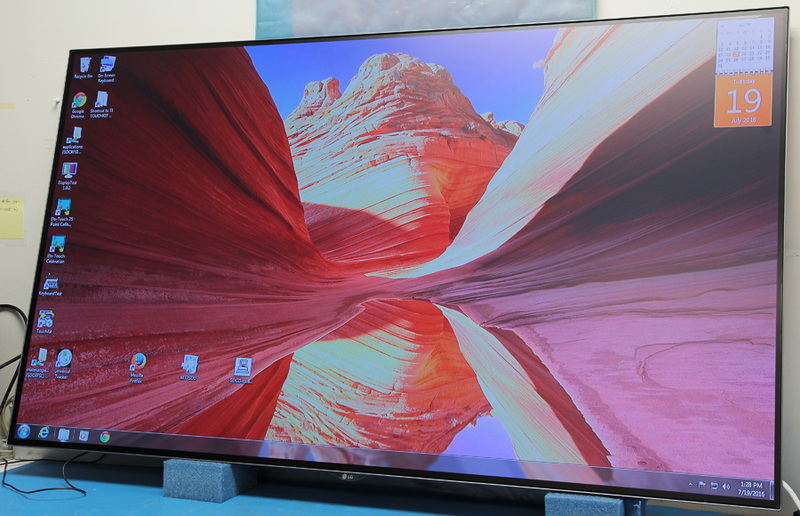 This commercial-/industrial-grade monitor is slated for release in 2011. General Digital is developing the industry’s first IP-addressable LCD microcontroller, which will forever revolutionize the way our customers manage their global distribution of LCD monitors. The Tracker 4See™ is designed specifically to provide our technicians with access to Calibration, Configuration, Control and Correction of an LCD monitor, all via a web driven interface. So long as it is connected to the Internet, our trained technicians will be able to monitor a flat panel display, make adjustments and diagnose any problem areas. This last point will save costly shipping and repair charges, as repairs can be made in the field. Stay tuned for further developments on the Tracker 4See suite. Download the PDF presentation or contact a Sales Engineer for more information. General Digital just shipped our first SlimLine Lite II™ with an integrated KVM switch. A KVM (keyboard, video, mouse) switch is used to connect a single keyboard, monitor and mouse to multiple computers or servers. At a customer’s request, we integrated a 4-port KVM switch into our SlimLine Lite II’s optional rack adaptor and power supply assembly. 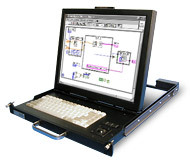 The resulting product now provides a rugged human-machine interface that allows the operator to control up to four computers by simply switching from one to another. General Digital is now registered with the Directorate of Defense Trade Controls (DDTC) pursuant to the Arms Export Control Act (AECA) and the International Traffic in Arms Regulations (ITAR Part 122). Our Registrant Code is available upon request. General Digital is excited to announce the introduction of our newest LED-backlit sunlight readable LCD monitor, the Saber Standalone Solar/LS19™. 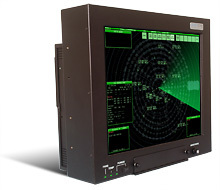 This rugged, high performance monitor is designed for use in industrial and military applications. The LS19 is the next incarnation of General Digital display products adopting LED backlight technology (in favor of CCFL) to power its sunlight readable LCD monitors. This advanced monitor also features two built-in speakers on the front face of the enclosure. Options for the Saber Standalone Solar/LS19 are an attached power supply, a VESA Extender Bracket and a Panel Mount Adaptor Bracket. For more information, we invite you to download the data sheet or contact a Sales Engineer. For those environments that require a large trackball, General Digital is now offering its 82-key and 121-key keyboards with a 2 inch trackball. This large trackball also features backlighting for improved visibility in low light environments. Both desktop and rack mount keyboard versions can be outfitted with the 2" trackball. As always, these keyboards are available with backlit keys and a NEMA12 enclosure as standard equipment, with an ActiveIdentity CAC Smart Card Reader available optionally. Please consult with a Sales Engineer for more information. 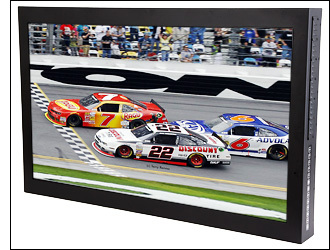 General Digital is now offering flat panel LCDs with LED backlights. For some time, we have offered flat panel LCD monitors that are backlit with LEDs. 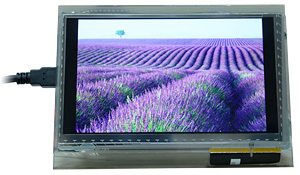 Now, for those companies that need only the display component, we can supply a “bare” LCD with LED backlighting. Suitable for many applications including digital signage, improved sunlight readability, NVIS (Night Vision Imaging System) usage, LED backlights offer many advantages over the more common CCFL (Cold Cathode Fluorescent Lamp) lighting. Compared to CCFL backlights, LEDs solid-state design means they are more resistant to shock and vibration, have lower power consumption, can operate at lower temperatures and higher altitudes, reduced EMI emissions and more. Please contact a Sales Engineer to determine if an LED backlit display will suit your application. In addition to a revised web site, General Digital is implementing a new naming structure for its RGB and Chassis Monitor line of LCD monitors. This change was instituted in an effort to simplify our many LCD product offerings. Therefore, the RGB and Chassis Monitor lines (PanelMount, RackMount, Industrial) will be merged into the Saber Series (PanelMount, RackMount, Standalone). The OEM Monitor Kit and Chassis Monitor Kit will be merged into the Impact Series. Also, the extension of Solar to any model name indicates that the monitor series is available with daylight readable and sunlight readable capability. The model number system will remain unchanged. Also available will be the GenStar III Lite™, which will be configured without components the end user would not utilize. 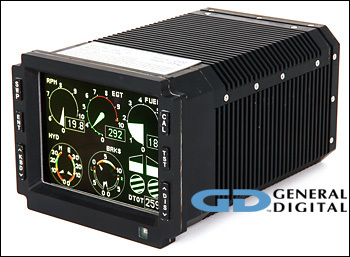 General Digital is incorporating more of its rugged LCD monitors with LED backlit displays. LED backlights have several advantages over CCFL (cold cathode fluorescent lamp) backlights: they're able to withstand harsher shock and vibration environments, they can easily operate at temperatures as low as -40° C, their low voltage allows them to run at high altitudes with no risk of arcing, their low IR (infrared) signature makes them ideal for NVIS (Night Vision Imaging System) applications. 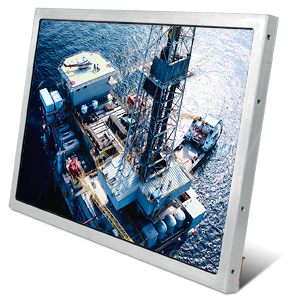 General Digital has designed and sold several systems with display sizes of 8.4" to 20.1". 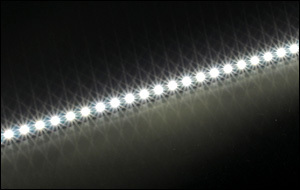 Contact a Sales Engineer today to discuss how LED backlighting can benefit your application. General Digital’s popular 1U high (1.75") SlimLine 1U™ flip-up LCD monitor/keyboard and SlimLine Micro™ flip-up LCD monitor will be available in 2U high (3.50") versions. Built just as rugged, the new models (unnamed as of this writing) will incorporate many peripherals in the lower layer of the enclosure, such as a CD/DVD drive, smart card reader, auxiliary USB ports, integrated AC-DC and/or DC-DC power supplies and more. Stay tuned for more info or contact a Sales Engineer. 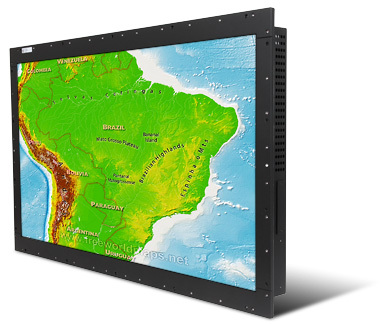 General Digital is now offering large format LCD displays up to 70"+ (diagonal). The Titan™ was introduced to satisfy the demand for information density. These large displays are ideal for digital signage and other environments in which large amounts of information need to be clearly conveyed. As with most General Digital monitors, the Titan Series supports a multitude of video inputs. Three configurations are now available: Titan PanelMount™, Titan RackMount™, Titan Standalone™. Please contact a sales engineer for more information. 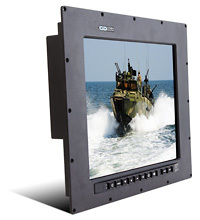 Answering the call for a rugged, sealed LCD monitor is General Digital’s Barracuda™ Series. Sealed to IP67 and NEMA4X standards, the Barracuda enclosures protect the LCD monitors against several contaminants: water immersion (submersion) between 15cm and 1m depth, dust, falling dirt or debris, rain, sleet, snow, splashing water, hose-directed water, and external formation of ice on the enclosure. The Barracuda Series is most at home in excessively dusty or wet conditions, most often found in industrial and military environments such as deserts, ships, outdoor kiosks, or simply constant exposure to changing weather conditions. Available in display sizes ranging from 6.4" to 24", the Barracuda Series of LCD monitors can be customized to fit your particular needs. In response to the increasing demand for more information on a display screen, General Digital has designed and built the TwoView Micro™, a low profile (2U or 3.50" high), flip-down, dual (2) display enclosure. Featuring ceiling, wall or rack mounting, this versatile and all-metal ruggedized unit is designed to meet MIL-STD-901D, MIL-STD-810F, MIL-STD-461E, MIL-STD-167B, and TEMPEST Level 2 requirements. Equipped with two 15", 17" or 19" displays, the TwoView Micro remains a compact unit when stowed. Deployed for use, the separate video feeds support separate, composite, Sync-on-Green and STANAG 3350 A, B and C S-o-G analog video. 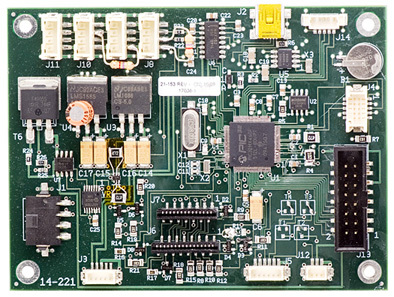 Numerous options are available including sunlight readable display enhancements, and support for NTSC, SECAM, PAL, S-Video and RS-170 live video, as well as support for DVI-A, DVI-D, DVI-I analog, HD-SDI, SD Component, and HD Component digital and integrated video. Additionally, General Digital is now offering the option of night vision (NVIS) goggle compatibility (per MIL-STD-3009) and all-LED backlights for most of its monitors. Please contact a sales engineer for more information. By removing the keyboard from our popular SlimLine 1U™, the SlimLine Micro™ has become our smallest (dimensionally) LCD monitor offering to date. Available with a display size of 15", 17" or 19", this ultra low profile (1U or 1.75") monitor features all-metal construction and continuous friction hinges, and accommodates ceiling, wall or rack mounting. All models of the SlimLine Micro support separate, composite, sync-on-green and STANAG 3350 A, B and C S-o-G analog video. Numerous options are available including sunlight readable display enhancements, and support for NTSC, SECAM, PAL, S-Video and RS-170 live video, as well as support for DVI-A, DVI-D, DVI-I analog, HD-SDI, SD Component, and HD Component digital and integrated video. Additionally, the SlimLine Micro is designed to meet TEMPEST Level 2, MIL-STD-901D, MIL-STD-810F, MIL-STD-461E, and MIL-STD-167B requirements. A multitude of options are available, including sunlight readable display enhancements. Please contact a sales engineer for more information. As on our other SlimLine products, the economical SlimLine Commercial™ features a high quality, flip-up LCD monitor combined with an integral keyboard and pointing device. The enclosure comprises an ultra-low profile of just 1U (1.75") for the 15", 17" and 19" models, and 2U (3.50") for the 20" model. Mounted in a 19" rack on the included slides, the SlimLine Commercial easily slides out for use and back in for storage. Many options are available including other keyboard-pointing device combinations, AC power supplies and DC-DC converters, cable management systems, and more. Please contact a Sales Engineer for more information. The video above depicts General Digital’s first sunlight readable and NVIS (Night Vision Imaging System) goggle-compatible monitor featuring an all-LED backlight. The video shows the SNCMP-19W (on the right) side by side with a standard luminance monitor in ambient conditions ranging from a dark room to 10,000 foot-candles. In addition to demonstrating sunlight readability, the video also establishes that the monitor is NVIS goggle compatible when viewed through a Class B night vision monocle. Though the video is a bit unrefined at this time, it clearly demonstrates that we have a display which is invisible to the NVIS goggles, while still being usable by personnel who need access to the information. 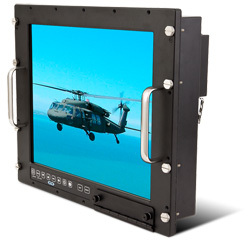 The 19" panel mount monitor, with a luminance of 700+ nits, was recently tested by a prime contractor and found to meet MIL-STD-901D and several other military requirements, and continued to operate after sustaining blows up to 142 g! The night vision goggle compatibility meets MIL-STD-3009. General Digital is excited to announce the release of its latest creation: a sunlight readable, COTS, night vision goggle-compatible (NVIS), 19" LCD monitor. To achieve sunlight readability in this panel mount monitor (SNCMP-19W-966), we incorporated a revolutionary technology: an all-LED backlight, which puts out 700+ nits of luminance, reduces power consumption and is ideal for appplications requiring mercury-free displays. In addition to a beefy, 0.59" front bezel, the unit includes a military-grade power connector and is designed with the intent to meet MIL-STD-901D, as well as with numerous other military requirements. Also, the night vision goggle compatibility meets MIL-STD-3009. Although we initiated production with a panel-mounted 19" display, most of our monitors can be equipped similarly. 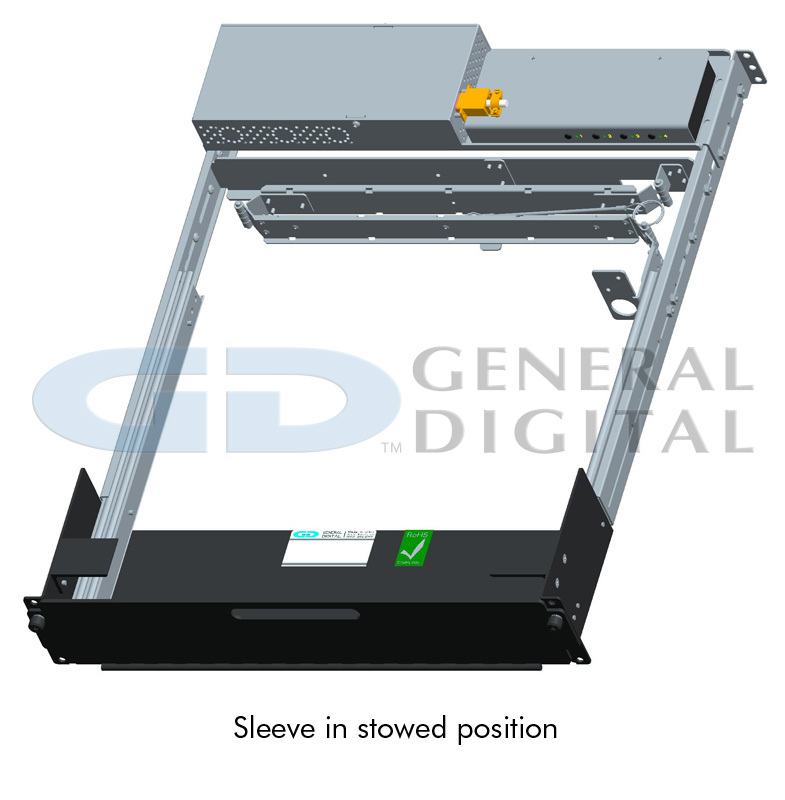 General Digital is now taking orders for our latest innovative new product, the TwoView™. Briefly, the TwoView is comprised of two high-resolution LCD monitors (15", 17" or 19"), with an enclosure that has been beefed up to handle the extra load of dual monitors. 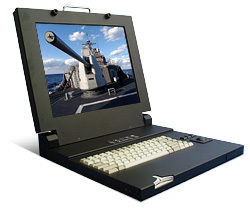 The TwoView includes several choices of military, industrial or commercial keyboards with integral trackball or, if you prefer, optional cupholders in place of the keyboard. Other options include daylight and sunlight readable displays and a host of video inputs. Stereo speakers and a cable management guide are provided as standard equipment. Please contact a Sales Engineer for more information or visit the TwoView page, which has all the details, including data sheet, drawings, photos and more. If you need a smaller dual LCD monitor setup, we also have a RGB RackMount™ Dual and RGB PanelMount™ Dual, both with two 8.4" LCD monitors. 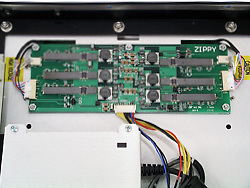 General Digital is equipping its Rack Mount Hinge™ 20" with the high performance Zippy inverter. The numerous benefits of this piezo ceramic inverter include: no EMI; high efficiency and less heat; nonflammable; longer lamp life; high reliability; extreme working temperature range; wide range linear dimming control with no flicker; open circuit protection prevents backlight failure due to individual bulb failure. Contact a Sales Engineer for more details. 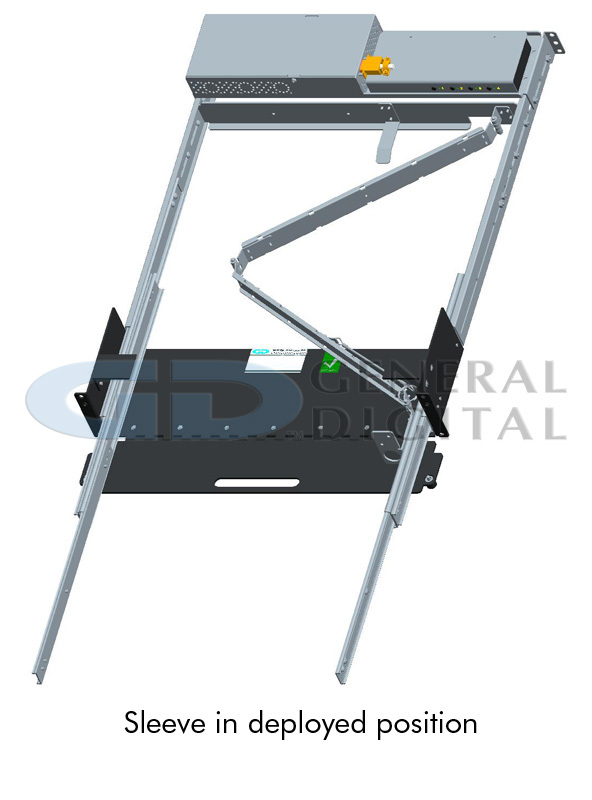 General Digital’s engineers have cleverly squeezed a 20.1" flip-up LCD monitor into a 19" rack. 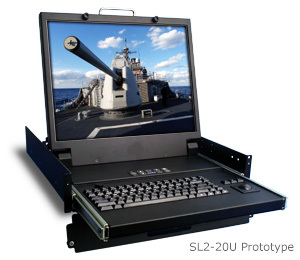 Though the 15", 17" and 19" Rack Mount Hinge™ models are contained in 1U (1.75") high enclosures, the thickness of the 20.1" display in the RH-20U necessitated the use of a 2U (3.50") high enclosure. The benefit of this design is that it allows a 100 watt power supply to be mounted inside the enclosure, rather than separately on the rack frame behind the unit. This simplifies installation and utilizes a minimum amount of space. Speaking of space, the RH-20U rests on slides that are only 20" deep, yet extend out another 18". A unique feature of this model is the availability of optional speakers. Reproducing a wide frequency range, the 1.5 watt speakers can greatly enhance user interaction and feedback. Read more and download the data sheet on the RH-20U Rack Mount Hinge page, or contact a Sales Engineer for more information, pricing and availability. 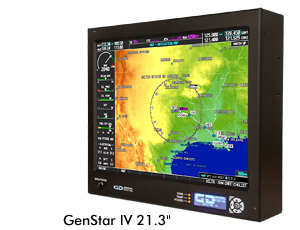 The second generation GenStar II™ replaces the original GenStar™, a robust 20.1" sunlight readable LCD monitor designed for air traffic control use and the STARS (Standard Terminal Automation Replacement System) Program. FCC Class A and UL60950-1 certified, the GenStar II features a multitude of improvements including a faster response time, reduced ghosting, ambient light sensing (optional) and much more. Optical performance is second to none, thanks to General Digital’s patented technologies, including the SmartBright™ backlight system, CoolBright™ cooling system, SmartLam™ optical management. The General Digital-designed Intelligent Backlight Controller monitors and records key system performance data through the use of our “Intelligent Replace Before Fail” ICARUS™ and DAEDALUS™ software utilities. This lets maintenance crews track performance data, allowing them to predict potential failures, identify current failures, and evaluate the root cause of each failure, as well as facilitating service before a critical failure. With a high contrast ratio and bulb brightness capability of >1200 nits (gated at 1000 nits for optimum brightness/life expectancy), and a wide 170° viewing cone, the GenStar II is well-equipped to handle a multitude of high ambient lighting situations. Read more and download the data sheet on the Sunlight Readable RGB Industrial™ page, or contact a Sales Engineer for more information, pricing and availability. Never content to rest on our laurels here at General Digital, we are excited to announce an innovative new product, the TwoView™. The anticipated release date is expected before the end of the second quarter, and we are now accepting pre-orders. Please contact a Sales Engineer for more information or download the data sheet. 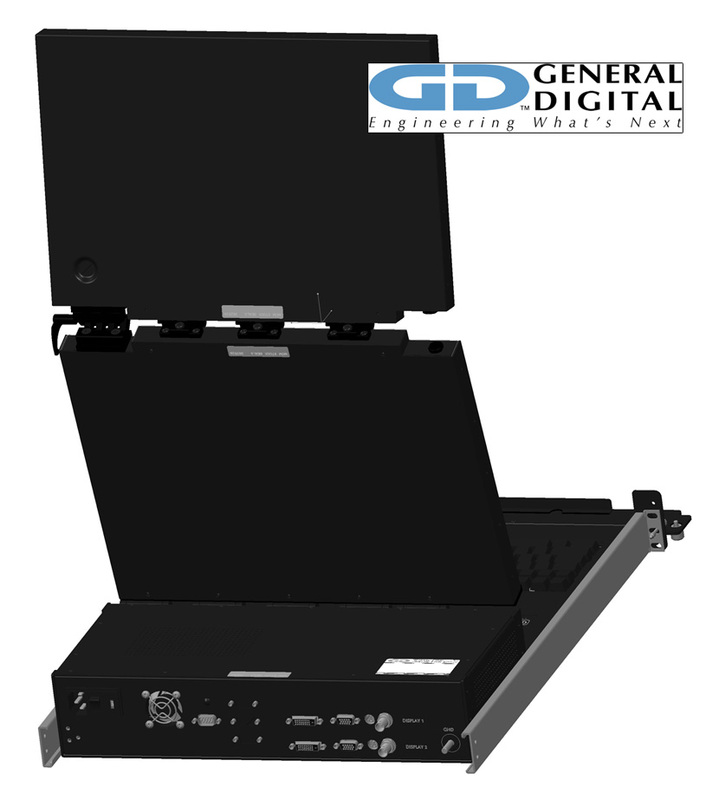 In response to increasing demand, General Digital has designed a 20", UXGA (1600 x 1200) version of our rugged Chassis Monitor RackMount™ COTS (Commercial-Off-The-Shelf). At 9U (15.75") high and only 4.80" deep, this unit will drop in to most racks with a minimum of fuss. 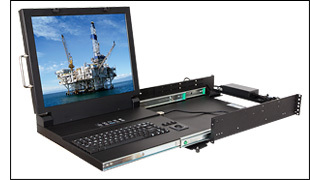 As with our 19" Chassis Monitor RackMount COTS, the 20" model is compliant with MIL-STD-901B, Grade A and Class II Lightweight Shock requirements. The louvered ventilation holes on the back of the unit satisfy the 45° Drip Test. Additionally, both units are designed with the intent to meet: MIL-STD-108E, MIL-STD-167-1, MIL-STD-461E, MIL-STD-740-1, MIL-STD-740-2, MIL-STD-810F, MIL-STD-901D. A significant benefit of the CMR-19W COTS and CMR-20U COTS are their fully functional Chassis Monitor subassemblies. Purchased in advance as spares, these subassemblies benefit the end user by facilitating field service and expediting depot service. 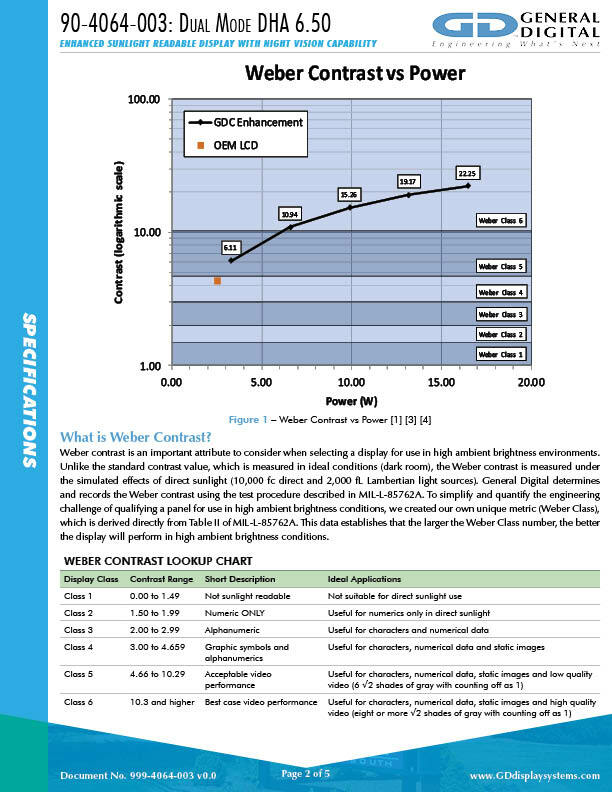 Contact a Sales Engineer to order or download the data sheet and drawing for more information. General Digital™ is pleased to announce the release of our rugged SlimLine 1U™ 15" with GenFlective™ optical enhancements. Using only passive enhancements, the bright LCD puts out 715 nits. And utilizing a mere 4 watts of additional power, the flat screen achieves a luminance of over 1000 nits by combining active and passive enhancements. Our low profile LCD monitor package includes a full-size keyboard and 1-3/8" trackball with 3 mouse buttons. Read more about the SlimLine 1U and GenFlective optical enhancements or contact a Sales Engineer for more information. General Digital is pleased to announce an economical alternative to our venerable GenStar™ high brightness 20.1" LCD monitor. It was designed especially for those applications that require an affordable, sunlight readable solution with a large flat screen monitor. The 20.1" SXGA sunlight readable LCD display utilizes a combination of our GenFlective™ passive enhancements, and active enhancements in the form of brighter backlights, thereby achieving 600 nits of luminance. Our DHG-20W Series, DHP-20W Series and DHR-20W Series LCD monitors can easily incorporate these sunlight readable enhancements. Contact a Sales Engineer for more information. Just when you thought a rack mount flip-up LCD monitor couldn't get any bigger. We’ve added a 20.1" display to our popular SlimLine Lite II™ line. You can now have the world’s first of its kind 20.1" flip-up LCD monitor with keyboard and trackball that will fit nicely in your 19" rack. General Digital is now accepting orders and will start shipping in November. General Digital Wins Its Second Technology Fast 50 Award! The Connecticut Technology Fast 50 program is Deloitte and Touche’s list of the 50 fastest growing technology companies in the state, based on the percentage of revenue growth from 2000–2004. General Digital has successfully incorporated a Smart Card Reader into its SlimLine Lite II product line, another world’s first in its class. Devoloped for a variety of applications, including the military’s Common Access Card (CAC) Program, our popular LCD monitor/keyboard/trackball becomes even more versatile. Dimensionally the same as the standard SlimLine Lite II, the ActivIdentity® (formerly ActivCard®) Smart Card CAC (Common Access Card) Reader adds a negligible amount of weight to the 19" rack mount, 2U (3.50") high package. Also, it requires a negligible amount of additional power to operate. An added bonus with this unit is an extra front-accessible USB port, useful for pocket-sized USB storage devices or any other USB-operated device. General Digital has released the next generation of its versatile Dual Rack Mount Monitor, which incorporates two high resolution 8.4" LCD displays. Also being offered is a daylight readable option. Housed inside a redesigned compact enclosure, with an externally-mounted power supply for increased cooling, are two XGA (1024 x 768 pixels) resolution LCDs. In their standard configuration each LCD produces a luminance of 300 nits and a 350:1 contrast ratio. Adding the cost-effective GenFlective™ brightness enhancements increases the luminance to 530 nits and a 575:1 contrast ratio. Six of General Digital’s LCD monitors and our 1U Rack Mount 75 Watt Power Supply have undergone rigorous testing to establish their ability to meet military standard requirements for a variety of conditions. We’re happy to report they performed quite well. The results are listed below. Note 1: Standard monitor configuration can be optionally modified to pass CE101 by adding a load resistor to the power supply assembly to increase current draw above 1 amp. Note 2: This test only applies to equipment with touchscreens. No other equipment will have an electrical sensitivity of 1 uV or less. Note 3: Standard monitor configuration can be optionally modified to include additionally magnetic shielding for the power supply transformers to satisfy RE101 requirements. Note 4: Standard monitor configuration tested did not include any ITO overlays in front of the LCD. General Digital can provide optional filters (e.g., 5 ohm or 10 ohm) in front of the LCD that will allow the monitors to comply with RE102 requirements. Internal test data is available to support these claims. Note 5: Some distortion noted on the LCD at certain thresholds. General Digital has obtained U.S. Patent Number 6,825,828 B2 for our Intelligent Backlight Controller™ (IBC), designed specifically for use in the GenStar™. The GenStar is General Digital’s backlit liquid crystal display (LCD) monitor comprising a backlight assembly, a cooling subassembly, a rear cover assembly and a controller. The IBC monitors bulb luminance and adjusts bulb current accordingly. Also, faults are monitored and logged so that predictive repair before failure analysis may be performed. A patent is pending for General Digital’s™ XO-Fraim™, which uses a heavy frame to isolate an LCD from the antireflective, antiglare or other protective overlays of an LCD. It prevents the transmission of mounting stresses into the active cells of the LCD. A patent is pending for General Digital’s™ GenSeal™, the application of a desiccating gasket between an LCD and a protective overlay, which prevents moisture from penetrating into the space between the LCD and the non-optically bonded overlay. A true 1600 x 1200 resolution 20.1" LCD display in the form of our DH Series RGB Industrial™ standalone monitor, the DHG-20U-806. Now you can have UXGA resolution without the need for scaling the image. To complement this large, high resolution screen is our new video controller, which delivers 1600 x 1200 pixel resolution at 60 Hz. In addition, it offers DVI-D (Digital Video Interface-Digital), SXGA analog video and Composite Video (NTSC, PAL, SECAM, RS-170). This video controller will be available on many of our other LCD monitors, as well. General Digital’s GenStar™, our sunlight readable 20.1" LCD monitor designed for the Federal Aviation Administration (FAA) and Air Traffic Control applications, was featured in the April 2005 issue of Connecticut Life. 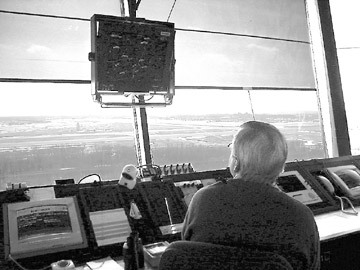 The article, “Eye in the Sky at Bradley International” by Doug Malan, detailed a Day in the Life of an air traffic controller. Central to their day, which includes the safe passage of 20,000 aircraft monthly, are the LCD monitors used to track each one of those aircraft. They utilize a sophisticated program, Standard Terminal Automation Replacement System (STARS), to track up to 1350 aircraft simultaneously, while reducing the amount and duration of air travel delays. STARS can also transmit important information to controllers, even in the event of a total hardware or software failure. Obviously, for such critical work, reliable equipment is crucial. 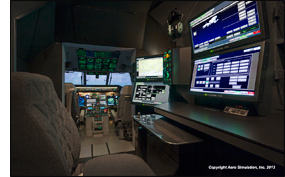 That’s why Raytheon, the company who worked with the FAA and the Department of Defense (DoD) to design STARS, chose General Digital™ to supply the sophisticated and robust LCD monitors. Having been a customer for over 20 years, Raytheon knew General Digital™ had the technical expertise to build an efficient and reliable product to perfectly fit their needs. There are 50 airports in the U.S. expected to receive the STARS upgrade and General Digital™ expects to supply LCD monitors for each of them. 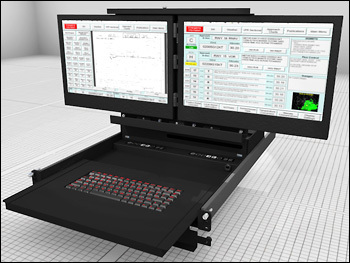 General Digital™ has designed a 20.1" model for our popular Rack Mount Hinge™ LCD Monitor. Remarkably, it is housed within a 2U (3.50") high, 20" deep, rack mount flip-up monitor enclosure. The LCD monitor also features multiple video inputs such as one UXGA input, two NTSC video inputs, and two S-Video inputs. 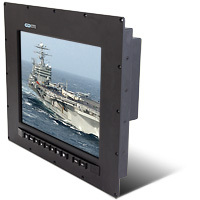 Additionally, the 20.1" Rack Mount Hinge has the ability to display multiple video images in Picture-In-Picture windows. We expect to release it during the second quarter of 2005. The 19.0" SlimLine 1U™ LCD Monitor/Keyboard/Trackball has successfully passed UL and FCC testing for use in FAA air traffic control towers and TRACONs and is now shipping. The SL1-19W-702 will serve as the official replacement model of the current model, SL1-19W-700, which is still available for a limited time. 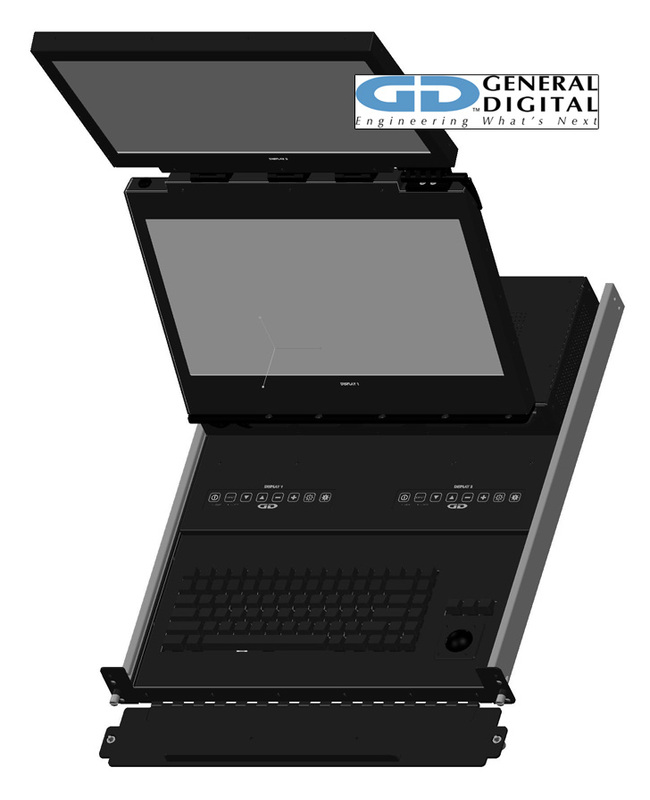 General Digital™ announces a new LCD element for our popular 19.0" SlimLine 1U™ LCD Monitor/Keyboard/Trackball. Currently, the SL1-19W-702 is undergoing UL and FCC testing for use in FAA air traffic control towers and TRACONs. It is expected to get approval shortly. The current model of the SL1-19W-700 is still available for customers who don’t require a UL/ FCC-approved model.